I really want to thank everyone for leaving all the great comments on the last few posts. The input has really been inspiring and you’re coming up with ideas and issues that probably wouldn’t have occurred to me without sharing the designs like this. The winner of yesterday’s poll was the 8×20 Solar House with Gables. One of the many comments focused on the fact that most of the tiny houses we see aren’t very good for travel and suggested that I consider designing a more aerodynamic and lighter tiny house. The idea stuck in my head all day and baked. I actually became a bit obsessed thinking about what a lightweight aerodynamic tiny house might look like. The idea then transformed into a tiny house that could be used for weekend getaways or camping. I can totally see taking this 7×12 Lightweight Weekend Camp House up into the mountains or out to the coast for a couple days and camping without really roughing it. It would have a small loft for sleeping and micro-kitchen and a composting toilet. Sorry no floor plans yet. So don’t let me bias your vote but I wanted to toss in this wild card and ask you to choose between these two houses for the next free plans. I know it’s a bit of an apples and oranges comparison so thanks for humoring me! 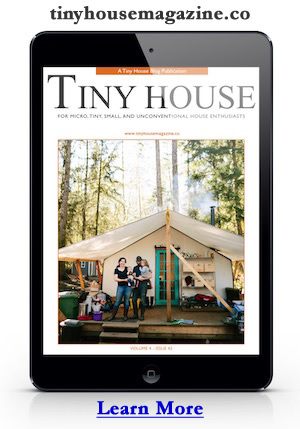 This entry was posted in Free Plans and tagged camp house, free plans, house plans, solar house, tiny house. Which Tiny House Plans Should I Draw Next? I vote for the 7*12 camper between these two, my Subaru could probably pull it. I would suggest also some type of collapsible trailered house. Telescoping, accordion style or flip down walls are some of the ideas I’ve made sketches of. I’m inspired by your work and will revisit them with some fresh energy. I’d go for the solar gables . . . I like the exterior styling of the 8×20 version best of the two. I hear the issues others raised about mobility, but I don’t think these were intended nor suitable to be trailers that move daily/weekly but are best suited for “backyard moorings” of 3-6 months (or longer) at a time. I’m eager to see the floorplans and how well the minimal square footage is utilized. I’m also interested to hear how expensive these are expected to be. Due to my limited skills with a hammer and saw, I wouldn’t consider a ground-up kit build, but I would attempt to finish a shelled unit if they were available. Great job on a cool looking small home!! I vote for the 7×12 camper. Never seen any thing like it.